Andrew Gillum’s bother and sister are being investigated for voter fraud. Both have voted multiple times, even though neither one of them lives there. Gillum’s brother Marcus, voted in the 2016 presidential election despite the fact that he lives in Chicago. 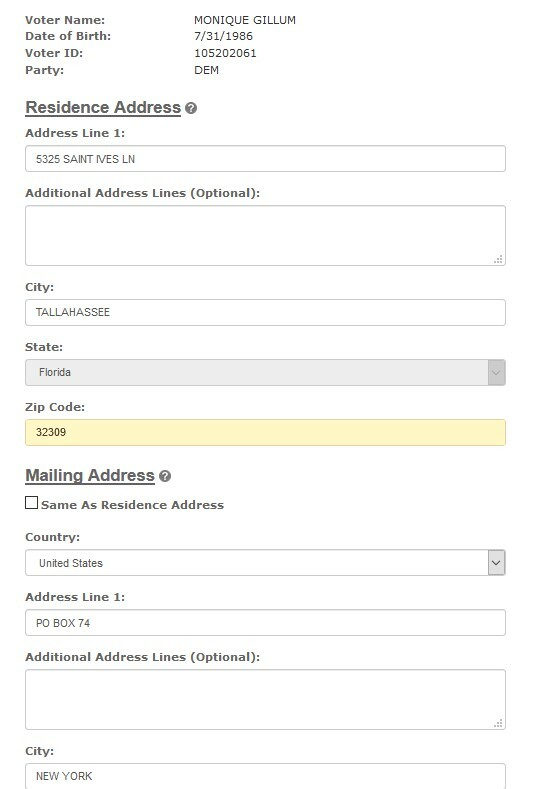 The address in Florida, that he uses on his voter registration was sold by Andrew over 3 years ago. Monique Gillum, Andrew Gillum’s sister, voted in Florida despite questions about residency. She has been voting absentee in Florida , even though she lives in New York. She has voted 4 times. Voter fraud in Florida is a third class felony. Also, other records, including work she did as a registered lobbyist for the Southern Poverty Law Center, indicate that Monique resided in Montgomery, Alabama from 2014 to 2016. Monique Gillum did not respond to a request for comment. Voter fraud is a serious issue, but the reason Democrats don’t want to talk about it is it’s their voters and candidates committing it. This is about as real as it gets. SHARE if you think every single committer of voter fraud should be held accountable to the fullest extent of the law! SHARE to help spread awareness, this is something the Democrats should NOW be known for!